NEW STORIES EVERY OTHER MONTH! Welcome to The Candleman Adventures, where the story of Candleman continues, every other month! So, I bet you're wondering who this Candleman chap is? well, he's a different kind of hero! clad in knitwear and adorned with a silly gold helmet the fantabulous Candleman doles out fist fulls of justice to anyone in desperate need of it on the streets of his home town Hope City. That means he goes round beating up bad guys... He's a bit crazy and isn't very good at what he does, but he tries...you should join him and his long suffering girl friend Wilhelmina Prize as they stumble from one mad cap adventure to the next, and try desperately to piece together what is happening to them and their city! As the storm clouds clear and the sun rises on Hope City, a grizzly discovery awaits the detectives Fisk and Clip. The storm continues to rage over Hope City and Candleman and Willi snuggle up for a night of horror films! 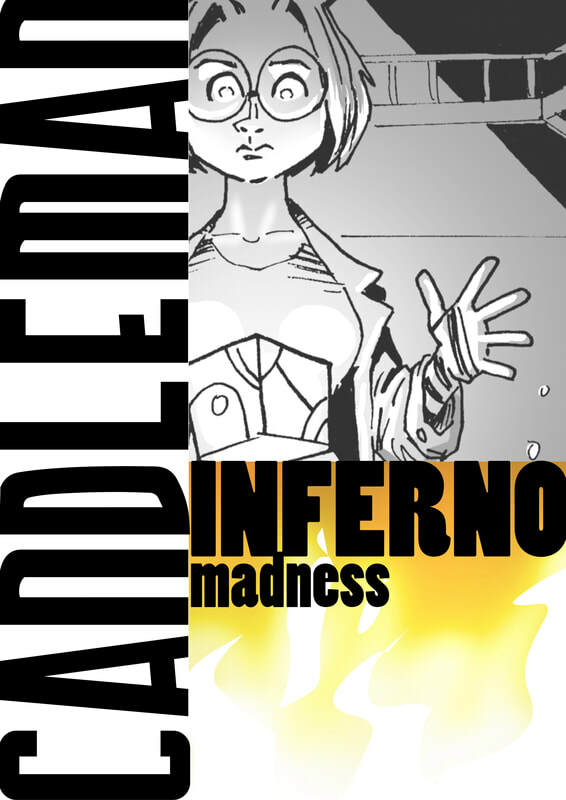 But the manic MOTHMAN has other ideas and as he grapples with the confused Candleman Willi takes on her own challenge! I bet you didn't think things could get any more crazy, but Hope City is about to find out there are no limits to the lunacy that can spill onto its streets. As Candleman recovers from his last defeat at the hands of Mr Lucifer all new terrors step out onto the rain soaked tar mac of Hope City. As things in Hope City hot up, the police close in on Mr Lucifer! ​Is this the end of his reign of terror? Will the cops get him? Or will Candleman have to step in? 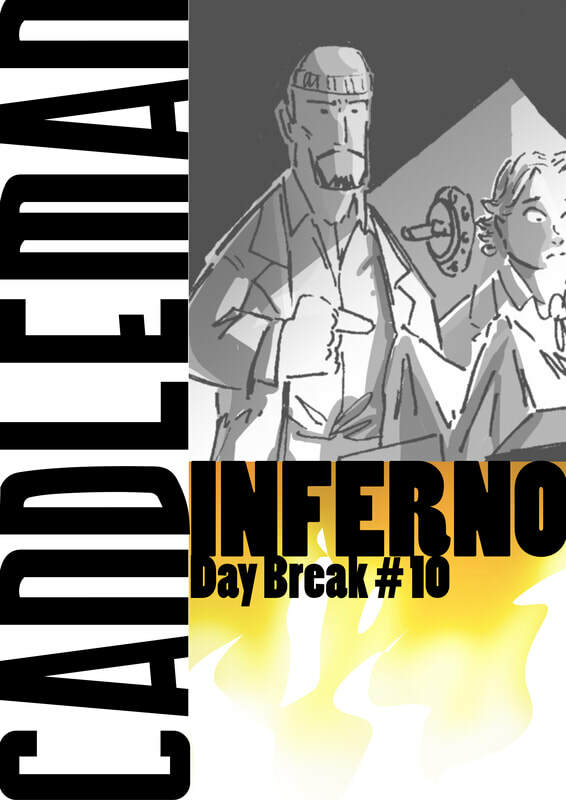 Find out in issue five of the EPIC Candleman Inferno! Wild Kat and Ant Lion are on the trail of loopy serial killer Birthday Boy and discover something far more baffling! CANDLEMAN! 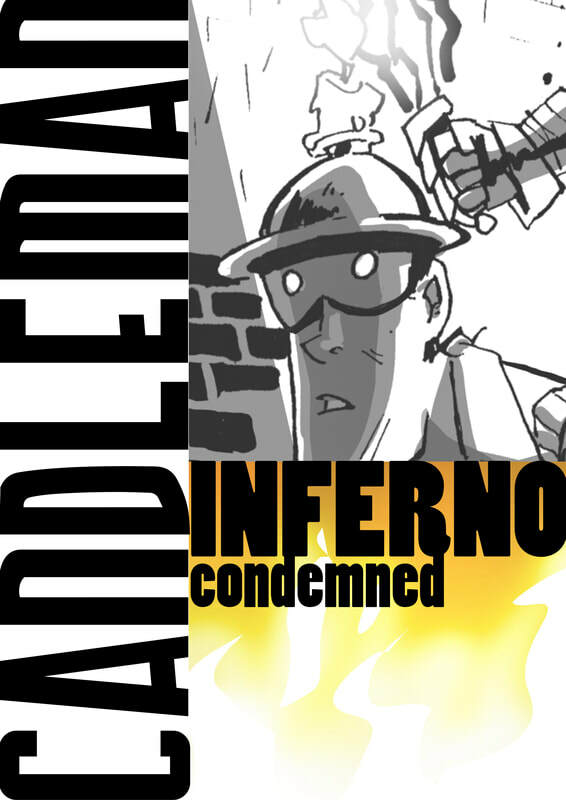 Candleman INFERNO - ISSUE 2.1 - Spider. As snow settles on Hope City, Claude Andleman and the irrepressible Wilhelmina Prize recover from their adventures in Let There be Light, however as they stuff the turkey for Christmas, a new evil is stirring in the shadows, a spark that threatens to become an INFERNO! ​This is it, the final fight! Join Candleman and Wilhelmina as their first battle with crime comes to a dramatic conclusion in the final episode of Let There be Light. Claude Andleman lies in the snow apparently dead! The Lethal Spider holds a gun on Wilhelmina Prize! 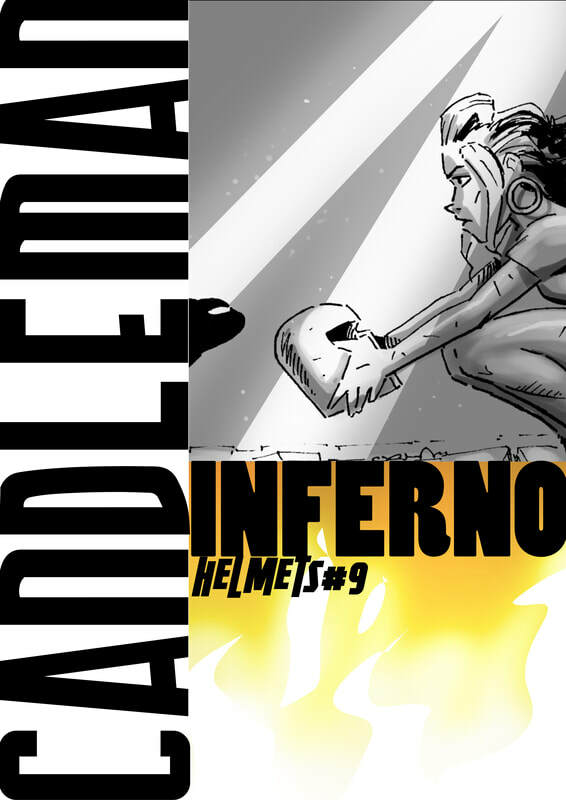 What will happen next in the penultimate issue of Candleman Let There be Light? I mean, where is Candleman?! High on a mountaintop overlooking the snow shrouded city of Hope stands the old Hope City Zoo, long closed now, but the scene of some mind bending action! 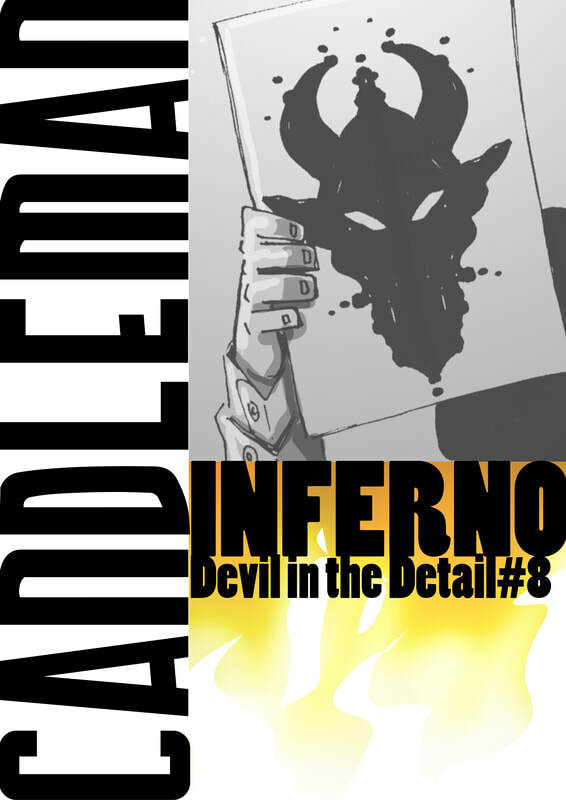 Among the crumbling ruins we find Claude Andleman and Wilhelmina Prize, face to face with a real life super villain the LETHAL SPIDER and his latest creation an extremely rare and dangerous snake, and we are about to find out how dangerous! 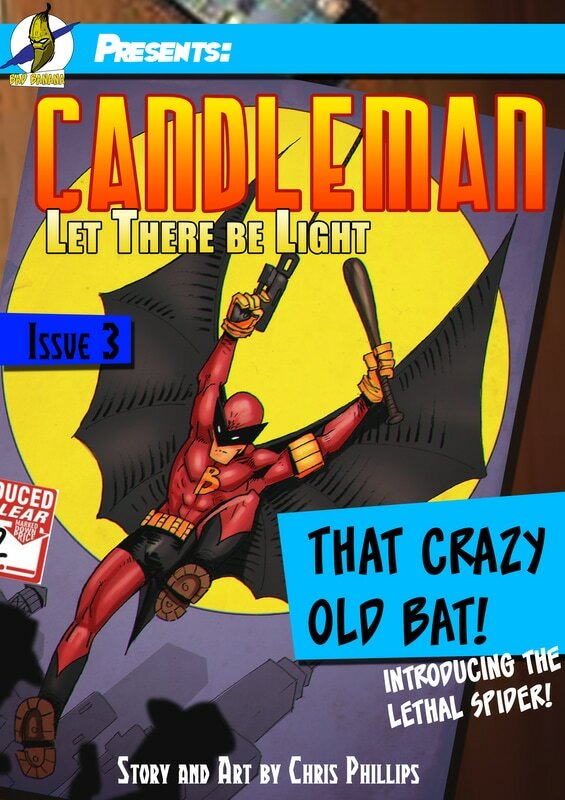 Candleman Let There be Light - ISSUE 1.3 - That Crazy old Bat! Snow continues to fall on the streets of Hope City, and amidst the silent blanket we find Claude and Wilhelmina! ​Spurred on by the realization that they KNOW who is behind the robbery, they plunge headlong into the dark to find answers and a stolen ray gun! 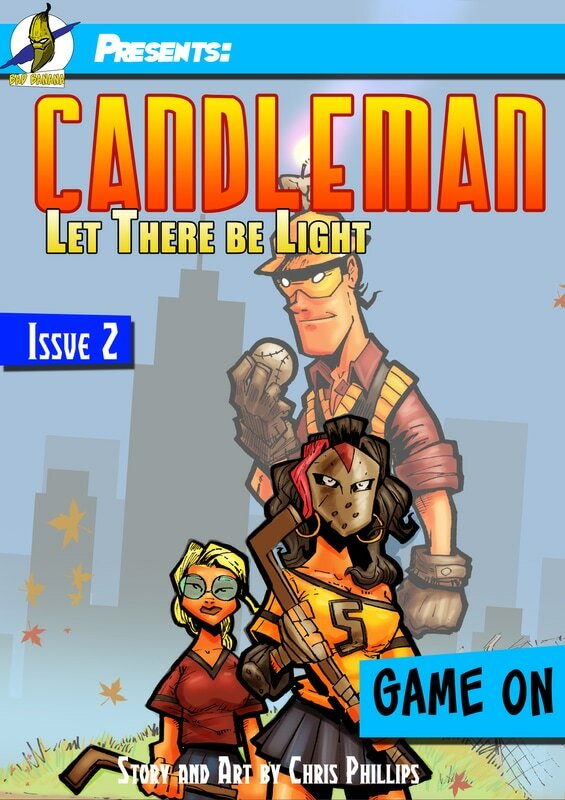 Candleman Let There be Light - ISSUE 1.2 - Game on! Claude Andleman recovers from his encounter with a pair of cunning robbers and finds that he and Wilhelmina are his employers only chance of regaining his stolen property! 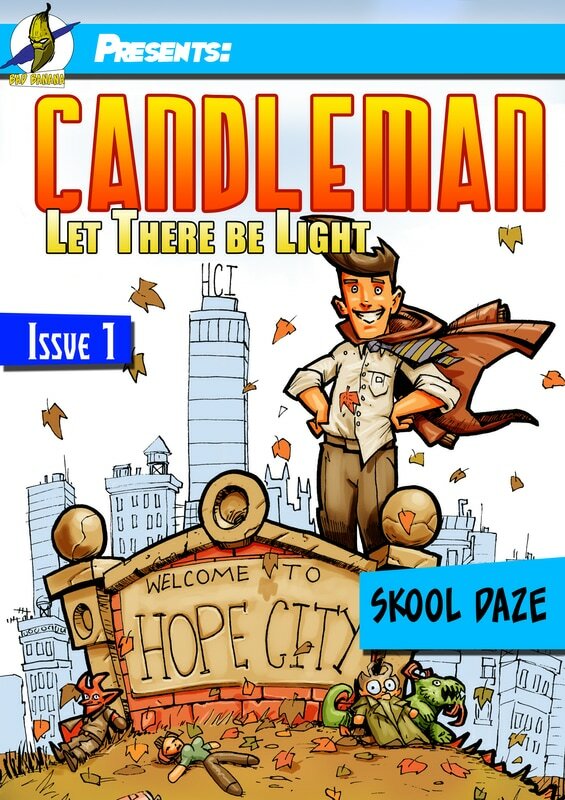 In the first issue of Candleman Let there be Light, the young Claude Andleman dreams of his confusing school years, a cluttered blast from the past that leaves him well and truly unprepared for his first encounter with the mysterious OWL LADY!